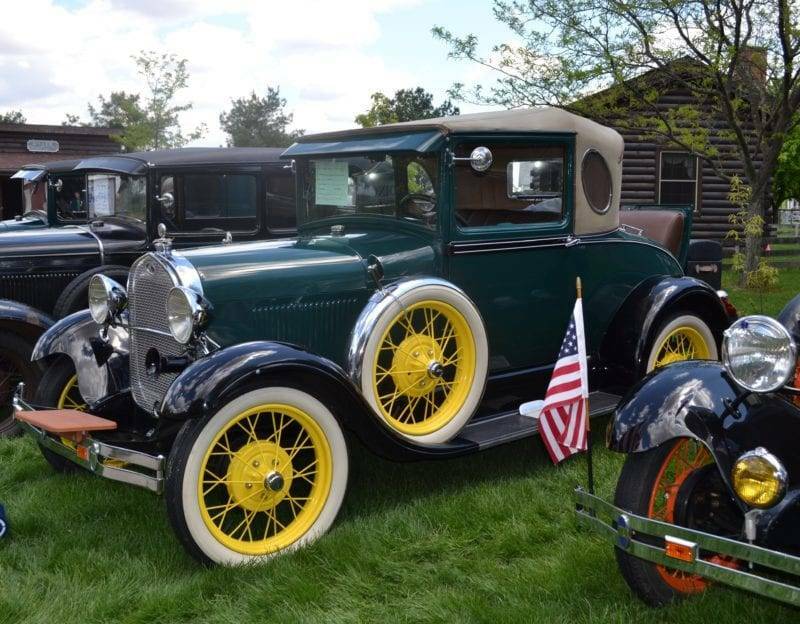 Archbold, OH – Antique car collectors from throughout the Midwest will be meeting in Archbold on Saturday, May 16 for the annual Antique Car Gathering at Sauder Village. More than 100 antique automobiles are already registered for this popular spring event – offering a unique view of the automobiles of days gone by. Add to that the chance to ride in and even drive an antique car, and you have the makings of a fun-filled day at Sauder Village. Ohio’s largest living-history destination, Sauder Village offers a unique backdrop for collectors to share their vintage cars with others. Again this year car enthusiasts are coming from Ohio, Michigan and Indiana to display their antique automobiles in the historic village. From a 1922 Ford Model T truck and a 1925 Buick to a 1912 Overland and a 1930 Model A Coupe – there will be a wide variety of unique automobiles on display again this year. Throughout the day guests will be able to look at the cars and visit with car owners. Many exhibitors plan to give demonstrations and will be available to answer questions about these unique vehicles. Throughout the afternoon, guests will have an opportunity to take a ride in an antique car and there will be a special drawing for one adult to win a chance to actually drive a car! Activities will take place throughout the day, weather permitting, and some are available on a first come, first served basis. In addition to the display of antique cars, guests will certainly want to plan time to experience the past in the Historic Village. Guests of all ages will enjoy visiting with costumed guides and working craftsmen in more than 40 historic homes, shops and community buildings. Visitors can learn about the daily lives of the Native Americans in the award-winning Natives and Newcomers area and visit places like the Witmer-Roth home, jail and Holdeman Church at Pioneer Settlement. Guests with young children are encouraged to stop by Little Pioneers Homestead to gather eggs and “milk” the fiberglass cow and everyone should plan to take a ride on the “Erie Express” or the horse and buggy. Historic Sauder Village is open Tuesday through Friday from 10:00 a.m.-3:30 p.m., Saturday from 10:00 a.m.-5:00 p.m. and each Sunday afternoon from noon-4:00 p.m. The Historic Village is closed on Mondays, except holidays. Admission is $16.00 for adults and $10.00 for students ages 6-16. Children 5 and under are always free with family and Sauder Village members receive free admission to the Historic Village for an entire year. And again this year, children 16 and under are free every Sunday this season! For more information about the Antique Car Gathering or other events planned for the 2015 season at Sauder Village, call 800-590-9755, visit www.saudervillage.org<http://www.saudervillage.org/>, like us on Facebook or follow us on Twitter and Instagram. Plan to experience automobiles of days gone by on Saturday, May 16 at Sauder Village. Be the first to comment on "Antique Car Gathering May 16 At Sauder Village"